Lady and the Blog → Living → Product Reviews → Read → The Littlest Bigfoot Series: Little Girl, Big Heroes! The Littlest Bigfoot Series: Little Girl, Big Heroes! The Littlest Bigfoot Series is all my daughter can talk about these days and with good reason! Natalie and I love to spend girl time together and Girl Power is a pretty hot topic. My little girl keeps getting older and older and there’s no stopping it. Not now, not ever, and I know that it’s just a fact of life – but that doesn’t make it any easier. The great thing, though, is that the older she gets (she’s 12 now), the easier it is for us to “hang out.” We are becoming more like girlfriends, but with me still having to yell at her to clean her room and do her homework! We can watch similar shows and movies, do our hair and nails, go shopping, work on our blogs and review videos and who knows what else?!?!?! This is a sponsored post with Simon & Schuster. All opinions are my own. There are so many things ahead of her and so many things to accomplish. She wants to sing and dance, she loves to cook, and she wants to have a big family and a house in Garden City (please, please please). It’s all there in front of here, but in due time. Above all else, she really wants to go to culinary school become a baker or a chef. She wants to have a bakery and a restaurant and maybe a TV show just like Ina Garten, AKA The Barefoot Contessa. Natalie loves her shows, her cookbooks, and being based on Long Island! For me, she’s a great role model. She seems so calm and put together. Really lovely. She’s also really smart…she worked at the White House!! She didn’t even have any formal training, just a passion and a lot to turn her talent into a foodie empire. She’s a household name and she just keeps plugging away. She quit her White House job and started with a 400 sq. foot store in the Hamptons!! Natalie’s idol through and through! Personally, I think she’s not a bad one to have either. She does it all…and Natalie wants to do it all, too! Natalie and I are always on the lookout for books, movies, or activities that help us both celebrate our collective Girl Power!! It’s so important for me to let her develop the confidence she needs so that she can tackle any problem and strive for any goal. Our sponsor Simon & Schuster introduced us to the best new book series for girls and I really have to share this amazing information with you all!! 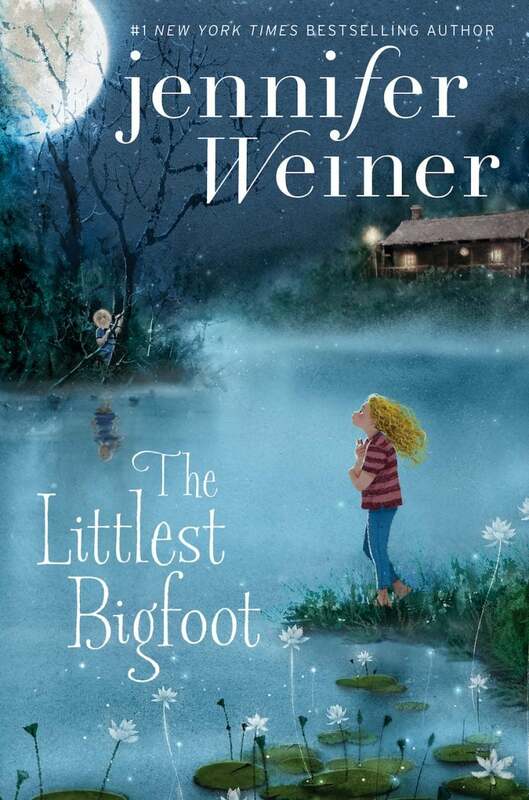 Fans of Jennifer Weiner’s adult books will be excited to know she now writes for children too! Books one and two of The Littlest Bigfoot series are available now. The final book will release in 2018. Twelve-year-old Alice Mayfair has a secret. She’s not human, but who—or what—is she? While Alice goes in search of her past, her best friend Millie Maximus, a tiny Bigfoot with a big voice, prepares for her future. Together they plan to sneak off to New York City, where Millie hopes to audition for The Next Stage, the TV show she’s sure will rocket her to stardom and free her from the suffocating expectations of her tribe. Meanwhile Jeremy Bigelow’s Bigfoot research has put him on the radar of a shadowy government organization led by a mysterious man named Trip Carruthers. The Bigfoots have something, a chemical so powerful and dangerous that the government will do anything to obtain it. Jeremy is tasked with securing it once and for all. In an unexpected twist of fate, Jeremy, Alice, and Millie find themselves facing off at a crossroads. In order to determine where they’re going, they have to first figure out where they come from—and draw the line between what is good, what is evil, and what it means to be a hero. Well??? Aren’t they great? What do you think? Girl Power, baby!! I just love these excerpts and the 50 pages really gives you a great background and insight into the awesomeness of the series!!! Really, they are so spot on and great for helping all of our girls follow their dreams and turn into confident, happy, successful ladies!! We are counting down until the third book in the series comes out. Literally on pins and needles waiting! THE LITTLEST BIGFOOT series is perfect for girls in middle school and is recommended for ages 8 – 12. 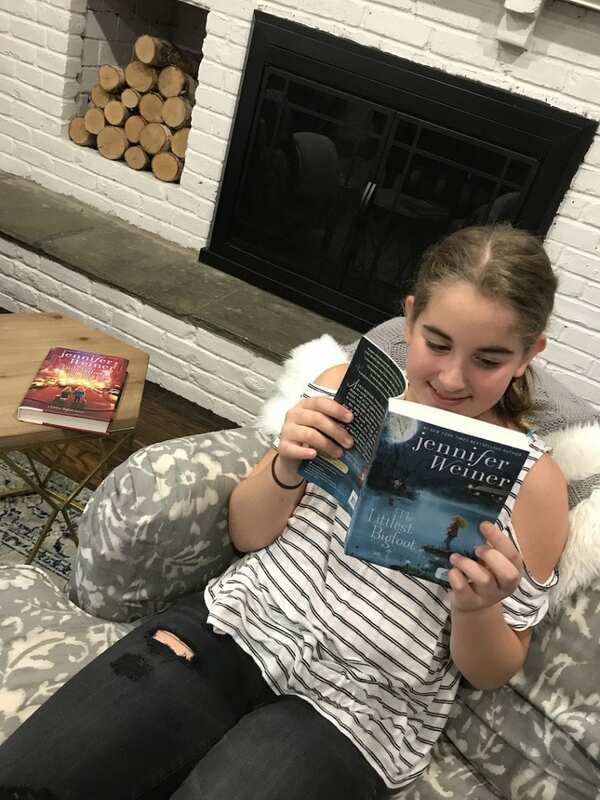 Jennifer Weiner is the #1 New York Times bestselling author of fourteen books, including Good in Bed, The Littlest Bigfoot, and her memoir Hungry Heart: Adventures in Life, Love, and Writing. A graduate of Princeton University and contributor to the New York Times Opinion section, Jennifer lives with her family in Philadelphia. Visit her online at JenniferWeiner.com. Previous Post: « Beauty Mail Haul: What Makeup Products Were Sent To Me This Week? OMG, these are the cutest books ever! I think my middle daughter would love them. These books would be great to read! I have girls in my family that would probably like to either read them, or have them read to them! I think my niece would love these books. That’s all she ever asks for for holiday gifts, so I am going to go read the excerpt to get a better feel on if this is her type of read. If so, you’ve made my book hunt for her this holiday season much easier! Yay for girl power!! I think my nieces would absolutely LOVE these books. As the mother of two daughters in the tween and teen range, I understand how important empowerment can be for young women. I look forward to sharing this captivating series with them! These are great gift ideas for the book lover! I will have to share with my friends. 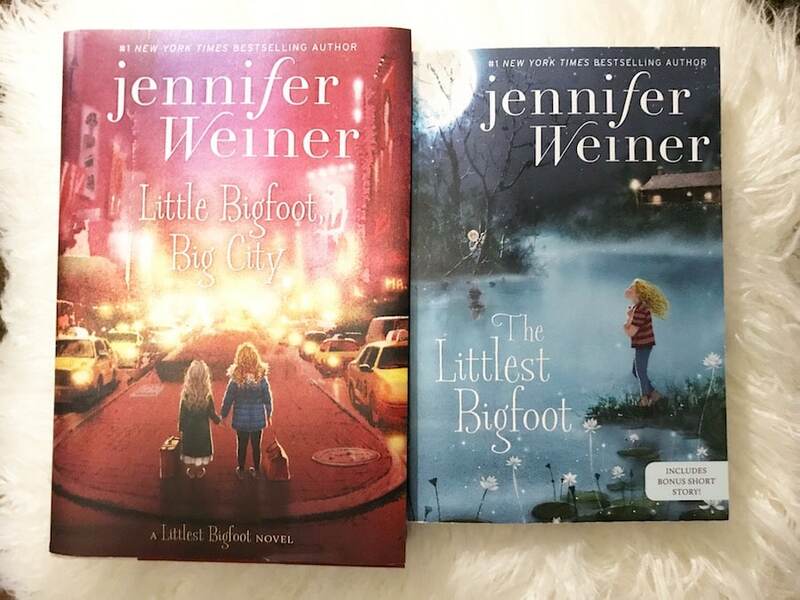 The Littlest Bigfoot Series sounds like they know what they’re doing with releasing these two great books! I think Alice and Millie’s adventures in the series must be a lot of fun to follow. These books will be great gifts! These books would be perfect for my friend and her Daughter. I think it is important to talk about girl power with our girls. My kids are a little too old now for these kinds of books but I will surely let my sister know about them. 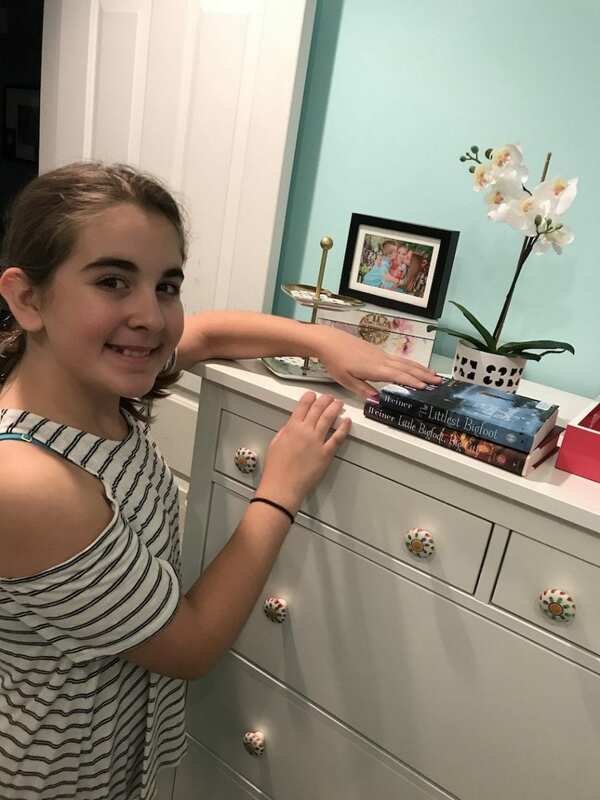 My niece is 10 years old and is a true bookworm. Her latest books are about learning the Korean language. I think she would love these Littlest Big Foot book series too! Sounds like a pretty awesome series to read for kids her age! I love that you’re spending more time together and that you empower her in so many different ways. She’s growing up to be a strong young woman because of you. What great topics for a book to cover. I love how they cover it in an indirect way as well so they don’t feel like they’re being “preached” at. This sounds like a great series. I may need to add this to my daughter’s library list. 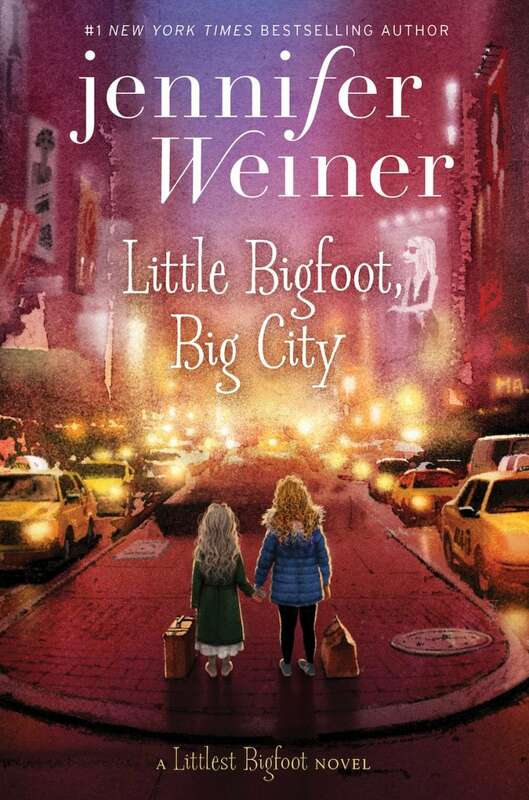 I read many of Jennifer Weiner’s “chick lit” books and am very excited and surprised to see that she writes children’s books too! Some of my good friends have little girls who would absolutely enjoy the trilogy as well as being empowered by strong female leading characters as well! This sounds like such a great series! I am always looking for books that my nieces will like, and I think this will be a big hit with them. Great idea for Christmas! Those sound like great books for my littles too! We are all about girl power in our house also. I love showing my kids that they can do big things as long as they have big hearts. These are really cute! Such a good read for little girls! Our kids love to read and these look like such fun books! I’ll have to check these out. They look like great ideas for Christmas presents.